Allegations of possible sabotage at Eskom plants to be probed - SABC News - Breaking news, special reports, world, business, sport coverage of all South African current events. Africa's news leader. President Cyril Ramaphosa says the suggestion of sabotage has been made and the investigations are underway. African National Congress (ANC) president Cyril Ramaphosa says law enforcement agencies are probing allegations of possible sabotage of some Eskom plants in Gauteng following the recent power outages which have rocked the country. Eskom has implemented stage 2 load shedding which has been prompted by a shortage of generation. Ramaphosa was speaking to journalists while on a campaign trail on the Cape Flats. The ANC president has assured the country that the problem of load shedding will soon be a thing of the past as one of the lines in Mozambique that supplies Eskom with power is about to go back online. Cyclone Idai has damaged power lines that supply Eskom with electricity from the Cahora Basa dam. Ramaphosa says Public Enterprises Minister Pravin Gordhan briefed him this morning that the fixed pylon will be able to produce 900 megawatts per hour. 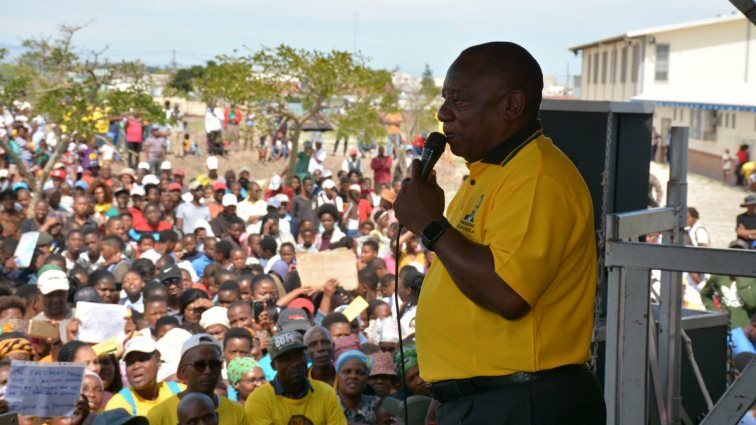 Ramaphosa, who is on the campaign trail in Cape Town ahead of the national elections in May, told the cheering crowd at an ANC rally in Mfuleni that solutions were being sought to address the electricity blackouts. He also urged residents to vote for the ANC on May the eighth.